Mr Koh Wee Lih is also an Executive Director of the Manager. Please refer to his profile under the Board of Directors. Ms Yeak has been with the Manager since February 2013 and has over 19 years of experience in group financial and management reporting, budget and forecasting, financial controls, audit, taxation and compliance with regional exposure in South East Asia, North Asia and Australia, of which more than 14 years are in the real estate industry. Following her appointment as the Vice President, Finance and Joint Company Secretary of the Manager on 31 May 2017, Ms Yeak is responsible for the financial accounting and reporting, capital management, taxation, compliance as well as corporate secretarial matters of AA REIT. Ms Yeak holds a Bachelor of Accountancy (Honours) from the Nanyang Technological University of Singapore. She is a Chartered Accountant with the Institute of Singapore Chartered Accountants and a Certified Practising Accountant with CPA Australia. Ms Toh has been with the Manager since March 2015 and has over 22 years of experience in the real estate industry and expertise in asset and lease management. 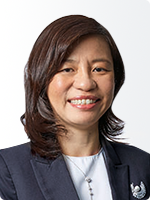 As the Vice President, Asset Management of the Manager, Ms Toh is responsible for the asset and lease management of AA REIT's portfolio. Prior to joining the Manager, she was the Head of Portfolio and Asset Management with Ascendas Land (S) Pte Ltd. She also held various roles in the Ascendas Group heading the asset management / leasing teams of different property clusters. 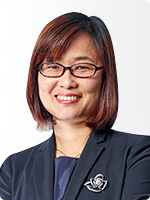 Ms Toh was credited particularly for her involvement in the successful launch of Ascendas REIT in 2002. Prior to joining Ascendas, she was with DTZ Leung and Far East Organization where she specialised in valuation and marketing of industrial properties respectively. Ms Toh holds a Bachelor of Science (Honours) in Estate Management from National University of Singapore. Mr Heng joined the Manager in January 2018 and has over 19 years of experience in real estate development spanning across architectural, consultancy, project management, migration management and contract administration in both green and brown field projects. 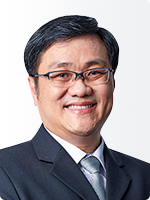 As the Vice President, Development & Facility Management of the Manager, Mr Heng is responsible for the facility management of AA REIT's portfolio and oversees all development and/or asset enhancement initiatives. Prior to joining the Manager, he was the Senior Associate Director at Davis Langdon KPK, an AECOM Company. He was responsible for providing project management consultancy services in Singapore and reported directly to the Executive Director of Construction Services. He was also AECOM's local and regional point of contact for several key clients. Mr Heng holds a Bachelor of Arts (Architectural Studies) from National University of Singapore and a Bachelor of Architecture from Deakin University, Australia. 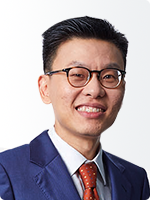 Mr Lim joined the Manager in July 2018 and has over 21 years of advisory experience with various financial institutions, with an emphasis on capital markets and corporate finance advisory activities such as equity fund-raising activities, corporate finance advisory services, mergers and acquisitions and various corporate exercises for SGX-listed entities. 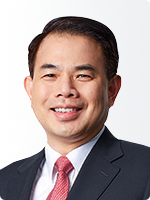 As Vice President, Investment & Investor Relations, Mr Lim is responsible for developing and executing AA REIT’s investment strategies to enhance the portfolio returns, as well as managing the investor relations function. He also supports the capital markets activities of AA REIT. Mr Lim holds a Bachelor of Business Administration from the National University of Singapore and is a member of the Singapore Institute of Directors.